And then once no contact is established, survivors find themselves trying to pick up the pieces of their shattered hearts and lives. Many survivors write that what they want more than anything is to find closure. Some hope that they can somehow obtain that closure from the psychopaths. 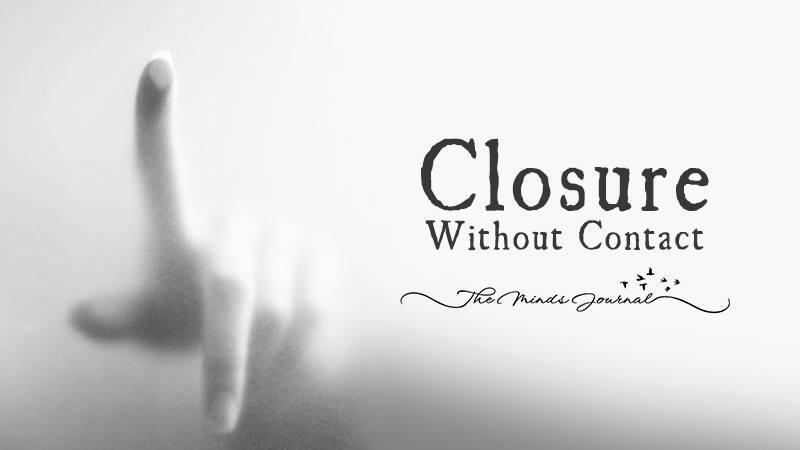 Others are convinced that closure is absolutely impossible. All survivors wonder, at some point during their recovery journeys, if they will ever find a way out of the darkness. The good news is, YES, closure is possible. And no, it will not come from the psychopaths! It must come from within. The first step in healing from psychopathic abuse is to stop all contact with the psychopath. And the only way to do that is to let go of the image you had of the person you loved. Unfortunately and sadly, that person never existed. He or she was only an illusion, a mask the psychopath created in order to mirror and manipulate you. As crushingly hard as it is and as much as it hurts, the only way to find freedom is to stop believing in that illusion. I clearly remember the beginning of the encounter I had with the psychopath; I thought he was the perfect partner for me! He seemed to understand me so well, and we had all the right things in common. It almost felt too good to be true! Then when I discovered that I had been so deeply betrayed by him, in ways I never imagined were possible, I realized it always was too good to be true. All of it was a lie…except for me and my feelings for him. I was real, and my feelings were real. And in the midst of the intense pain, I held on to the light—the light of truth—that was just barely left in my soul. Letting go of the “dream man” he pretended to be brought me closer to my own heart. So do your best to let go of the illusion. When you let go, you’ll start to find the real you. Search for answers—but stay safe! When I realized that I had been involved with a pathological liar, I had a very strong urge to go on what I call “my truth-finding mission.” Everyone around me—absolutely everyone—discouraged me from investigating the psychopath. But I felt deeply compelled to uncover as many lies as I could, so I disregarded their advice. It turned out that I made the right decision, because I conducted my mission without making contact with the psychopath or anyone connected to him. I also did not reveal my new knowledge to the psychopath or his fan club, although I desperately wanted to. Finally, when I exhausted every anonymous avenue available to me, I stopped. I was far from healed, and I uncovered only a portion of the truth, but I felt that I had reclaimed a part of myself. The entire process was an important step in rebuilding my self-respect. Wow…. this made me cry. This is me. My truth. Thank you for posting.